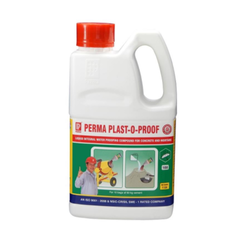 We Manufacturer various chemicals which are used in waterproofing process in construction. 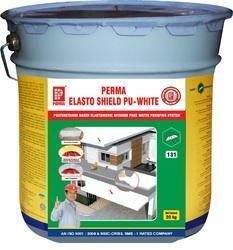 For water proofing damps walls. Remove the plaster or scrape the concrete. If the surface to be applied is concrete only which is sound then use the surface directly. On the prepared terrace, surface applies two Barrier coats or one Barrier coat followed by Plaster or IPS. For the protection of exposed reinforcing steel. We Supply Structures Joints Waterproof Tape , Waterproofing TPE Tape Waterproofing Thermoplastic Elastomer Tape For Open Joints In Structures. Perma Expa Tape is a Thermoplastic Elastomer based tape available in suitable lengths for covering expansion joints, isolation joints, weak construction joints and joints between two dissimilar building materials such as concrete and stone work or concrete and steel/PVC pipes etc. USES : Failed Expansion joints where in the sealant has failed either in or cohesion or adhesion, cause severe leakage problem in the buildings and these leakages start corroding reinforcing steel bringing down the life of the structure drastically. Similar phenomenon is observed in the joints of dissimilar building materials such as joints of concrete with steel/PVC pipes, junctions of RCC and stone slabs/blocks, many such junctions in sewage and water treatment plants, building roofs etc. Perma Expa Tape offers a permanent solution to these nagging problems. It not only water proofs these weak areas but also helps in maintaining their aesthetics and life of the structure. 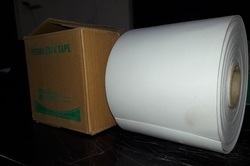 Packaging Details: Perma Expa Tape is available in 20 Meter roll of width 150 mm x 1 mm and 200 mm x 1 mm. Special widths and lengths can be organised if required. We offer Elastomeric Waterproofing Coating chemicals to our client. Looking for Water Proofing Solutions ?